Me & WP – One Year Now! I’ve been trying to catch up here and there the last few weeks – which might I add have absolutely flown by!! Finally getting over the crud that was going around, and trying to get it together to end this semi-crappy year and move on to a new year, and hopefully some wonderful new adventures and opportunities. I say semi-crappy because in the scheme of things, it could’ve been much worse. My philosophy in life, generally, is if by the end of the day no one has died, no one is terminally ill and no one is scarred for life, it’s been a damn good day – or at least it wasn’t as bad as it may have seemed. So, though I have spent the last year “job free” against my will, and we have really pillaged our “retirement” savings, which we will pay dearly for – all in all, it could have been a worse year. 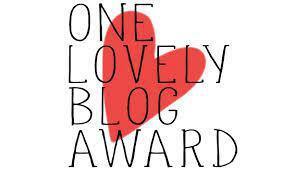 I have just reached my one year anniversary on WordPress. This is where I started blogging. I’m just tickled that I have found not only an audience for my musings (72 blogs thus far), but another family — of writers all motivating, inspiring, and encouraging each other. So many of you I miss when I have been away from my blog for any length of time, and I try to find the time to catch up with you when time allows. Anyway – I wanted to thank you all for making me feel special, for allowing me into your life by spending your precious time with me, and for sharing with and teaching me, as well. I am truly honored!! So I keep seeing this picture on Facebook, and I’m not sure where exactly it came from or how “authentic” it is. But the first time I saw it, I just had one thought . 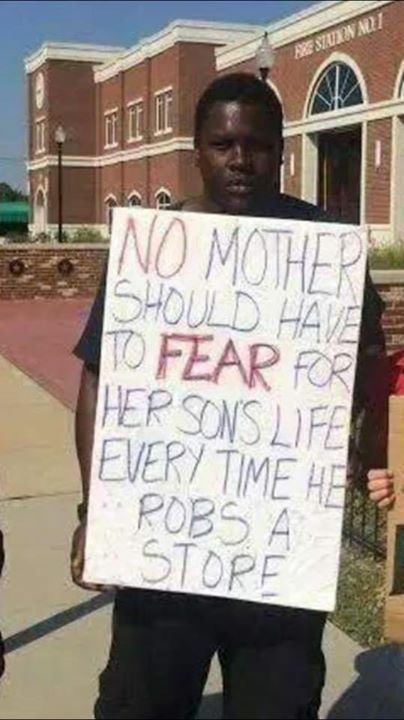 . .
No mother should have to fear for any of their loved ones lives because someone else’s son robs a store, regardless of race.